Time to Celebrate Spring! Some wonderful bloggers have chipped in to bring you all an amazing giveaway! 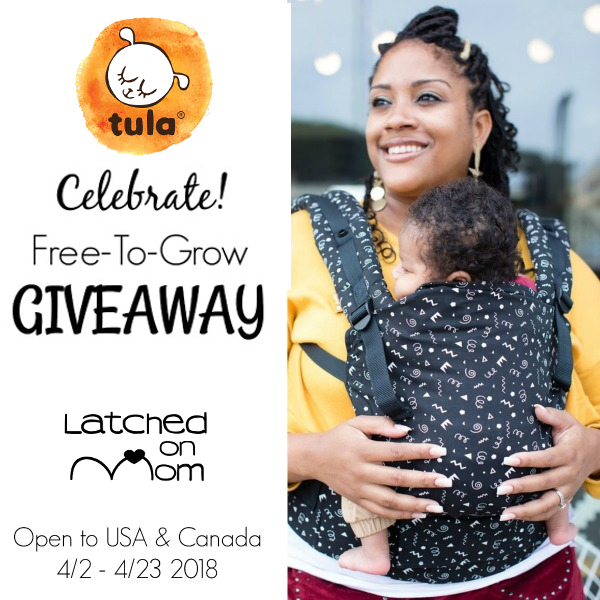 I love babywearing and I have heard many parents say fantastic things about Tula Baby Carriers, so we're giving you a chance to win the NEW Celebrate Tula Free-to-Grow Baby Carrier! Keep reading to learn more about the great features this carrier has and enter to win below! This funky, cool design reminds us that moments in childhood, big and small, are reasons to celebrate! Confetti in fun shapes scatter across a black background creating a festive design with a modern, neutral palette. Celebrate is an all over design with the print continuing across the inner shell of the carrier and the detachable hood. Twill base with coordinating removable hood with snaps to support head while sleeping, sun protection while out and about, and extra privacy while nursing. You can also purchase this gorgeous baby carrier on Amazon! Now for the best part! 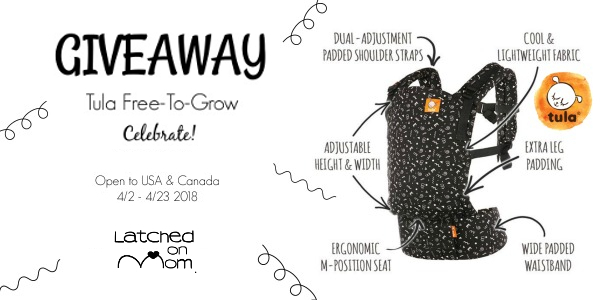 One lucky reader will have the chance to win this gorgeous baby carrier. Use the entry form below to enter! Giveaway is open to US & Can and ends on 4/23 at 11:59pm EST. Must be 18+ to enter. Good luck!!!!! 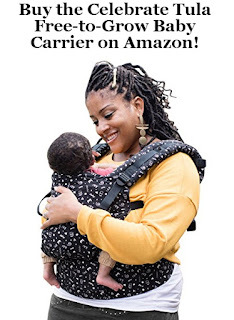 I love the range of ages you can use this carrier with! Would love to try this carrier.